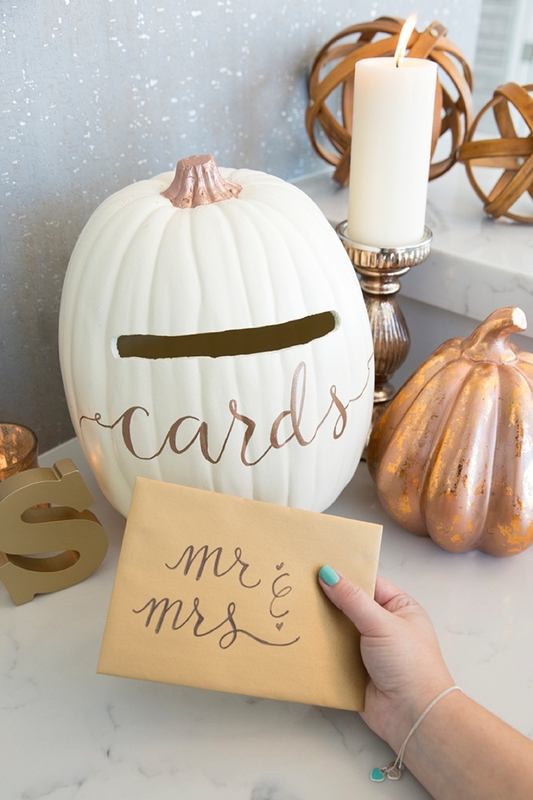 This Wedding Card Box Is a MUST For Your Fall Wedding! 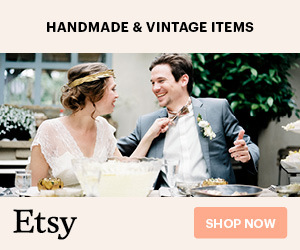 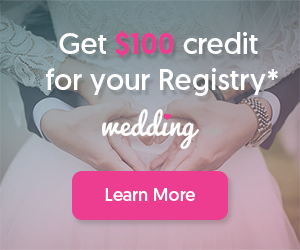 I love fall weddings, they are so cozy and romantic and they give you that warm feeling in your bones because the holidays are on their way. 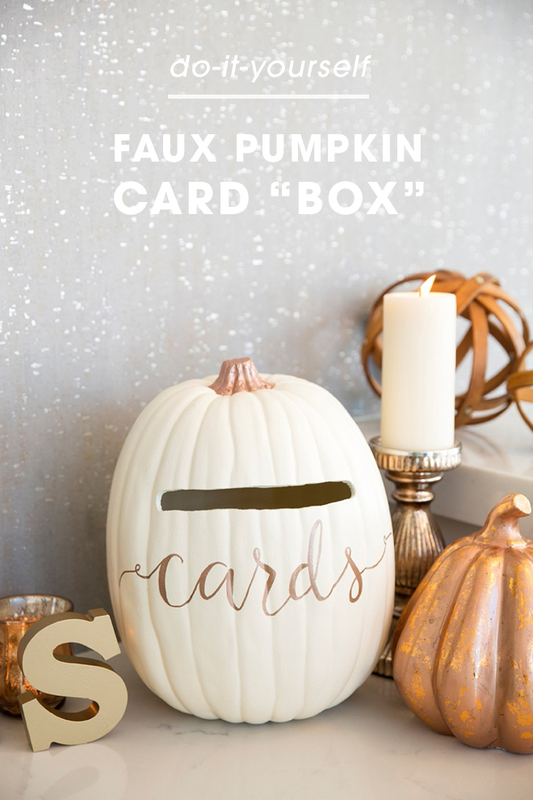 Embrace your unique fall event with this fun and simple DIY Faux Pumpkin Card Box idea! 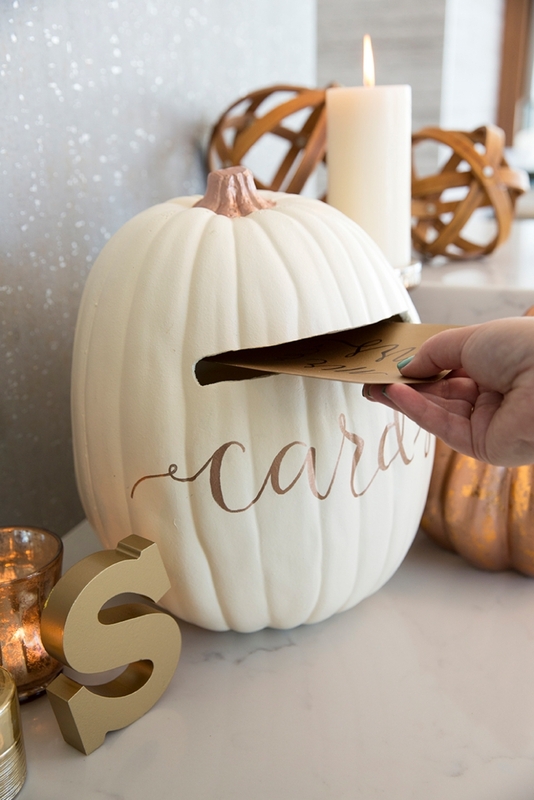 In less than 30 minutes, a faux white pumpkin can be transformed into a chic way to collect your wedding cards. 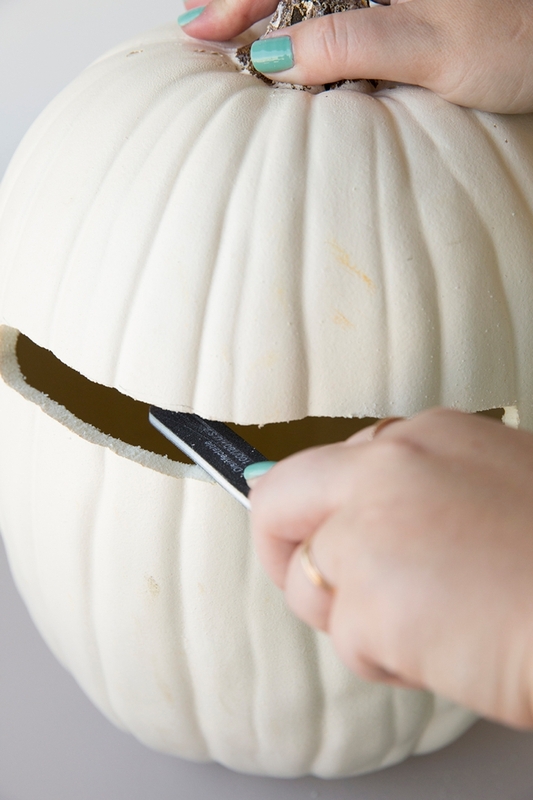 After your event is over, carve or break open the foam shell to reveal special sentiments from your loved ones. 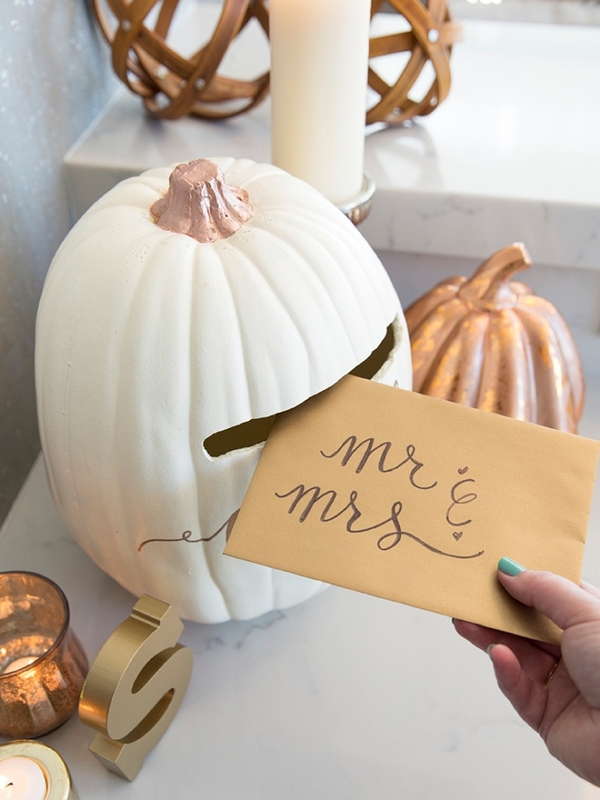 If you like this idea, you’ll love our faux pumpkin guest book too! 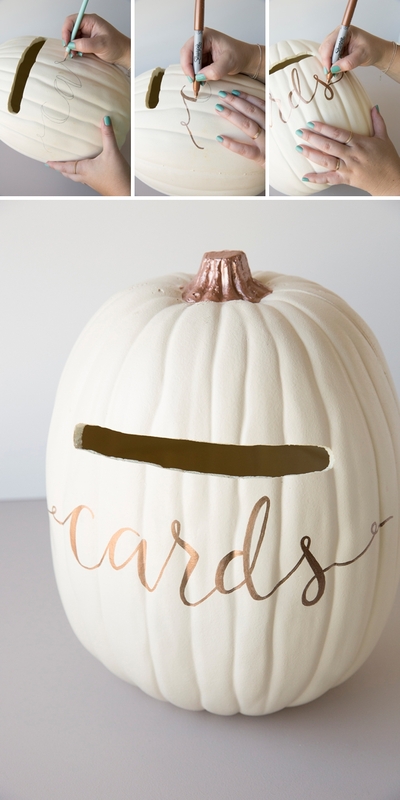 Draw a slot for the cards on the foam pumpkin that is about 7″ long; which will fit the largest greeting card sold. 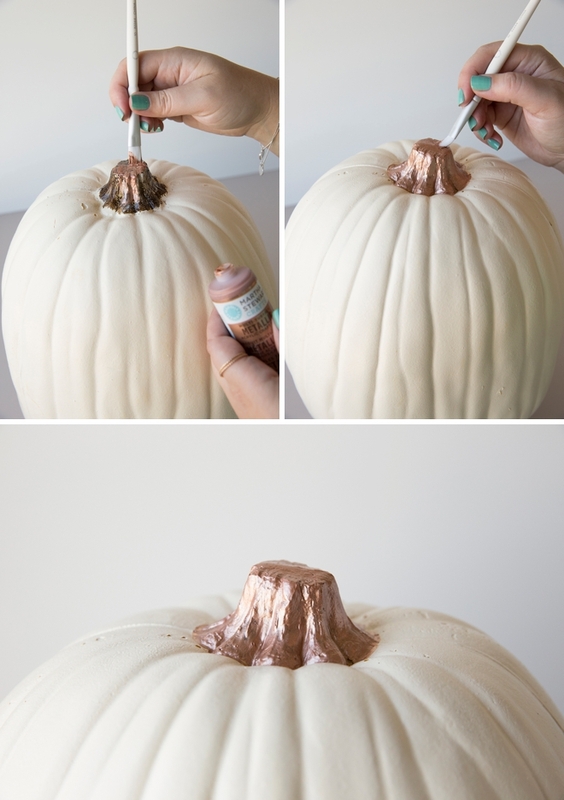 Then carve it out of the foam just like you would a regular pumpkin! 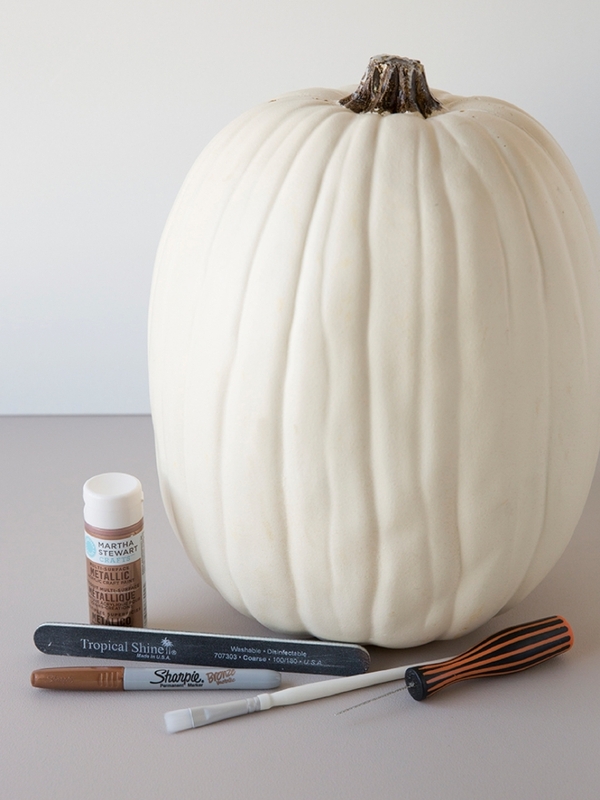 A nail file is the perfect tool to smooth foam pumpkins; smooth the slot edges. 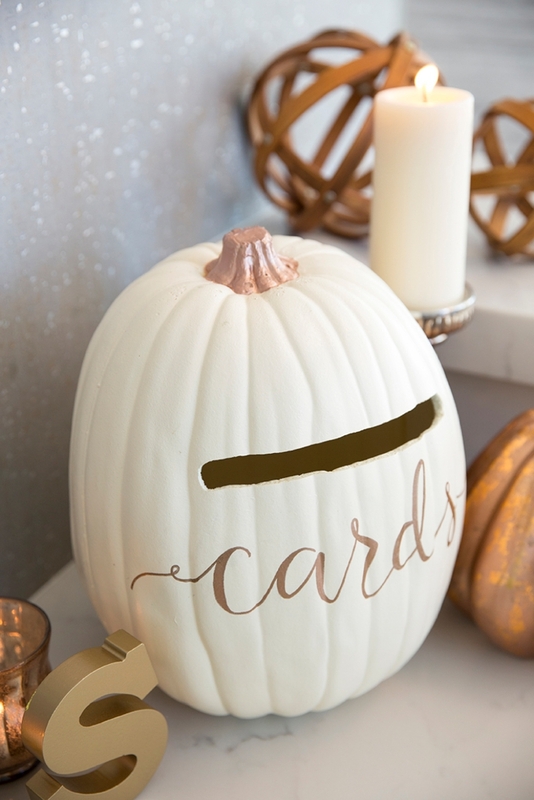 Underneath the slot, write the word “cards”. 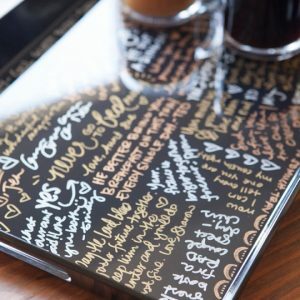 I traced it with a pencil first and then used a metallic copper Sharpie to finish the design. 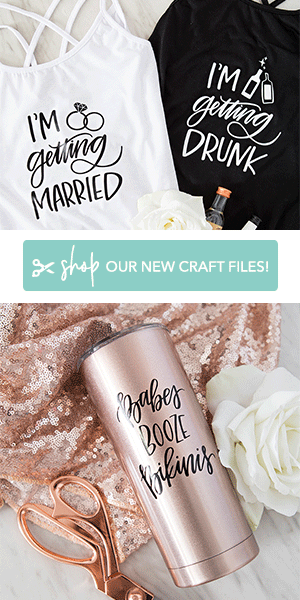 Painting the stem is totally optional but adds a nice touch, I did three thin coats. 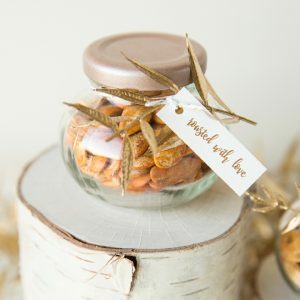 Pick up some cute fall decor to match your theme and display this darling “box” at your reception to gather all your special wedding cards. 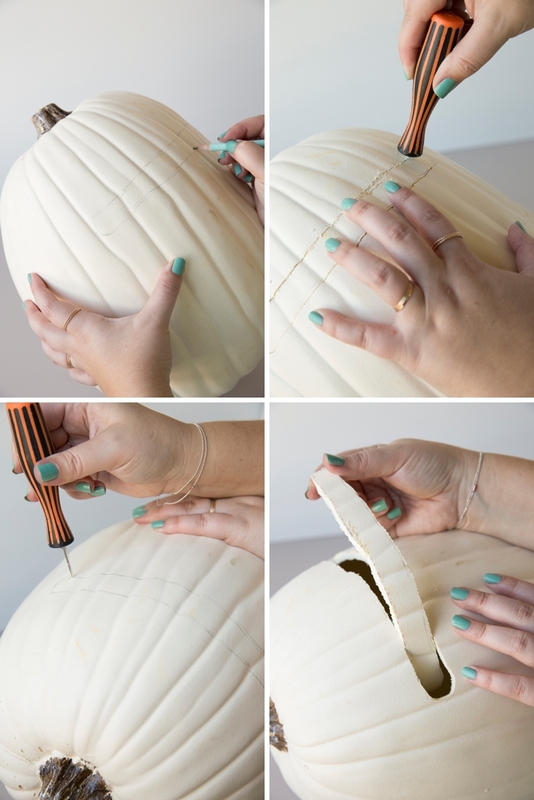 Then look forward to carving it open to get them out!